Meringues are such simple things to bake, and require just two ingredients! It’s so simple to add flavours, colours or sprinkles to them, I use sugar flair colourings as they add such a natural colour to the meringues and foodie flavours flavourings because they don’t contain any artificial flavourings and give a fresh, natural taste. Be warned you don’t need much of the colour of the flavourings as they’re both really strong! 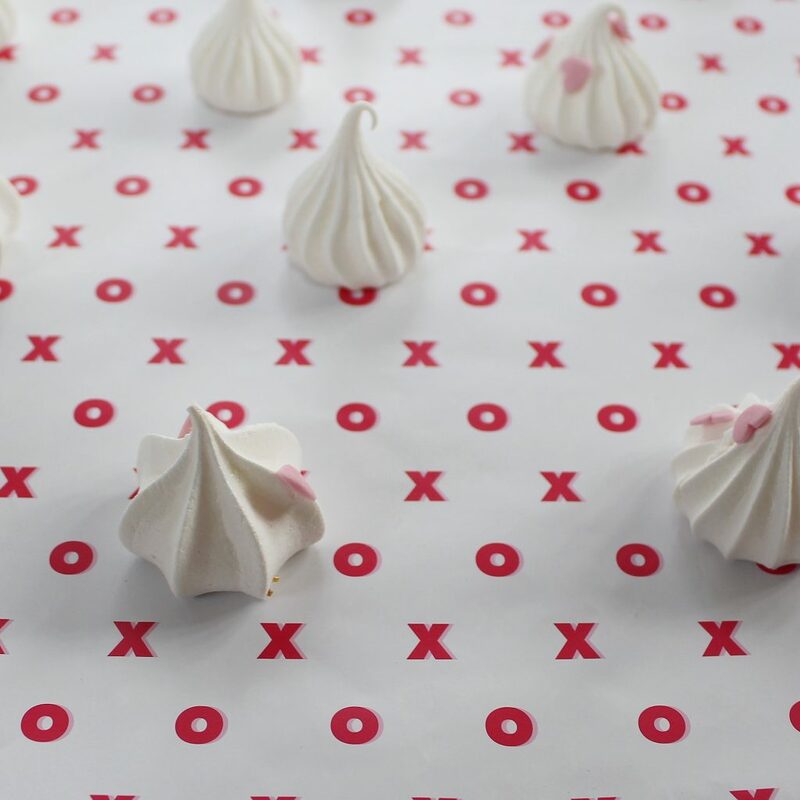 A great touch is adding sprinkles to the meringues before baking them, because you’ve got your oven on such a low temperature it won’t burn the sprinkles and they look so great on your meringues! As a rule of thumb with meringues it’s double sugar to egg whites, this gives you a shiny meringue which is crispy on the outside and marshmallowy in the centre. Preheat your oven to 100 degrees and line two flat baking trays with baking paper. 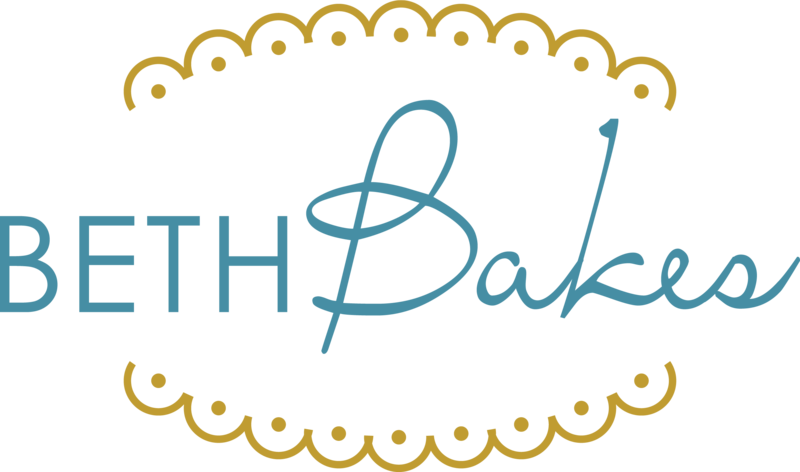 In a stand mixer with a clean bowl and whisk, beat your eggs whites until soft peaks. Start on a low speed, then after a few minutes change to a medium-high speed. This helps the egg whites to not get too many air bubbles. To test whether it’s ready you can pull out the whisk, if the whites hold their shape and don’t drop then it’s ready. Turn the mixer to a low-medium speed and slowly add the caster sugar a dessert spoon at a time. Wait for the sugar to mix in in-between each spoonful. Once all the sugar is added, turn to a high speed a mix for five minutes. 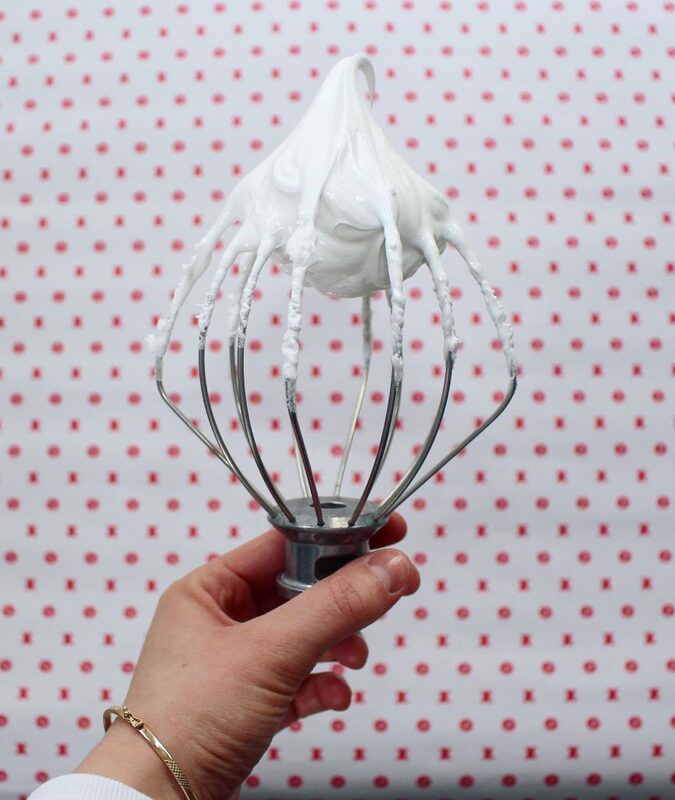 This will give you a shiny, smooth meringue mix. To test to see if it’s ready rub the mixture between your fingers and if you can feel any grains of sugar then you’re ready to go! This is when you can add flavours or colours, or you can paint the colour onto the inside of the piping bag to give a stripy effect to your meringues. Using a metal spoon, put the mixture into a piping bag. You can use a fancy nozzle on the end or just cut a hole, it’s completely up to you! 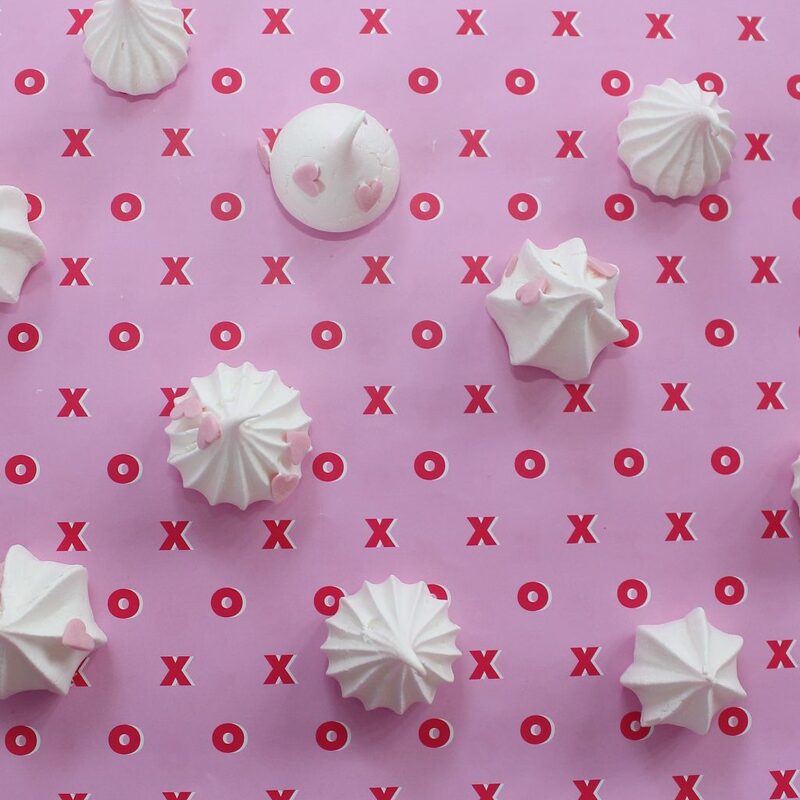 Pipe your meringue kisses onto your baking trays. 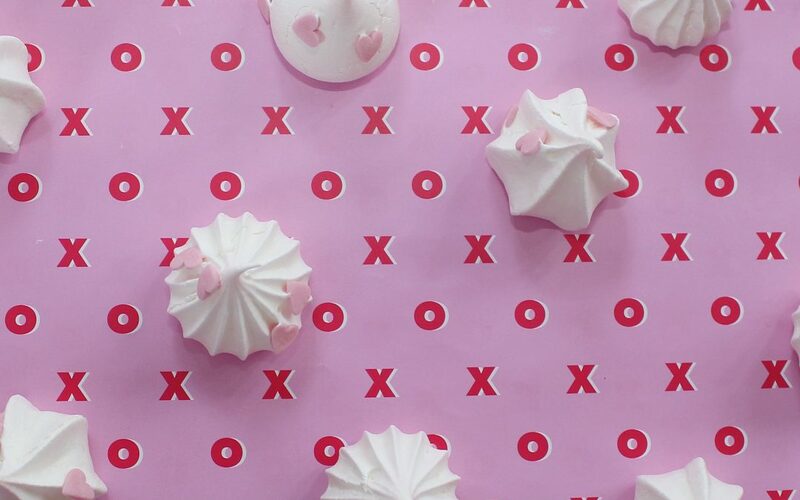 To get the height on the kisses place your piping bag up straight, squeeze the bag until you have the size kiss you want, then stop squeezing and lift the bag up. This should give you a nice peak. Now is when you can add sprinkles, if you want to. Then place in the oven for 35 minutes. When they’re ready you should be able to peel them off the paper without them breaking. Then leave them in the oven with the door slightly open until completely cooled, this will stop them from cracking.